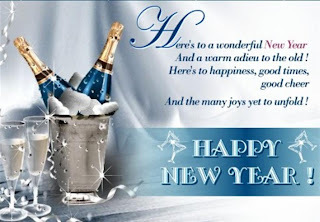 This will be my last Post for 2008 - I'm really looking forward to starting 2009 tomorrow! 'They say' ... 'whatever you do on New Year's Day, you will do for the rest of the year' ... guess what I will be doing and let's hope that old saying comes true! Yesterday was another Girlfriends' Day - lovely to swap tales about what we have done over Christmas. 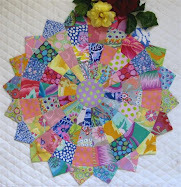 Also, nice 'show and tell' - Pat's Kaffe Fassett quilt is a stunner, all those yummy, bright colours! Mmmm, interesting! 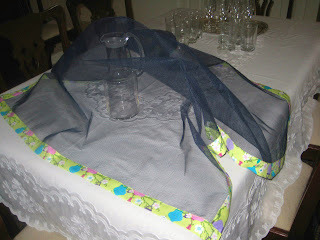 This is a Fly Veil - made to cover food at our outdoor picnics, etc. Jan made this one from tulle and since making her first one she has had to make several more for other friends and family - a great idea! 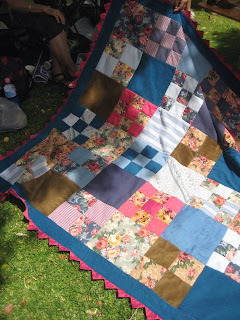 Jan has made this gorgeous little quilt for latest grandson, Patrick. Beautiful quilting - shame it isn't showing up better. The lovely little scallops are supposed to be individually held down with buttons - maybe when Patrick is a little older! 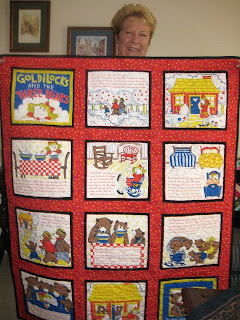 A story book quilt for Sally's little grand-daughter - just gorgeous! Myra, of Tactile Pleasures in Fabric, and I recently discussed doing a PIF swap with each other if we didn't get enough starters. Well, we both have, but I received an email from Myra this morning to say she's still in for it - I'd love to do it, too, Myra, so - let's go! 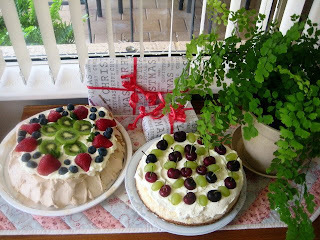 Enjoy your celebrations this evening, thank you so much for joining in my Blogland fun in 2008, this has all been a new and wonderful experience for me! ♥ ... Stay Safe ... Hugs and Best Wishes ... ♥ !!! An Interesting Day ... With a Tinge of Sadness! Pitter, patter, pitter, patter ... that's how my heart went watching Hugh Jackman! Yes, we did finally get to see 'Australia' yesterday. Now, being VERY patriotic Aussies, DH and I thoroughly enjoyed this movie. Mustn't forget Nicole either, or little Nullah, we thought the acting was superb. I guess having travelled around Australia a lot, living in Arnhem Land for 17 years and appreciating our history, we came out of the cinema feeling uplifted - I must admit to having a few little tears in my eyes! 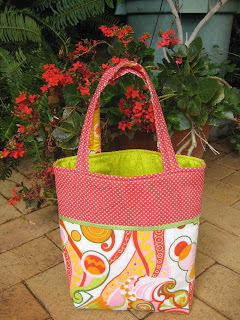 Here is Pat's gift that was hidden in orange cellophane - a colourful dilly-bag (this girl throws fabrics together and they come out looking a million dollars! 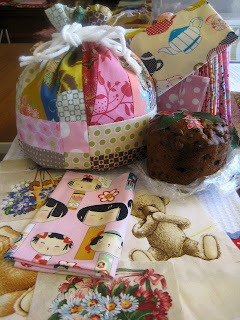 ), a little pudding and interesting snippets of fabrics - thanks, dear Girlfriend! A project for 2009 - love these little angels, so I am going to have great fun with applique for a change - I have so badly wanted to do applique again! They are from The Quilted Crow in Tasmania - Leonie and Deidre are great girls, so efficient, friendly and obliging - do visit their shop and their blog! Once again, I'm back into more gardening, so must get out there before the heat comes in. I talked about establishing a succulent garden - here is one of the gorgeous specimens I planted and raided DD, Angela's garden for lots more. They should thrive beautifully in what was a vegie garden. A tragedy occurred yesterday at 'our beach' - a 10 minute walk away. Sadly a man was taken by a shark - God Bless him, his loved ones and friends. My children and grandchildren swim there regularly. We are always amazed when nature behaves in this manner - when we lived in Arnhem Land, crocodiles were always the danger! 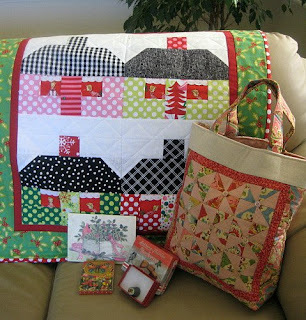 On a brighter note - Bonnie from Quiltville, has a new Mystery Quilt starting New Year - should be a lot of fun, once again! Out to the garden - ♥ ... hugs ... ♥ ! Oh, What a Wonderful Christmas! At last ... I was a Good Girl for so long! Yesterday morning I had wonderful surprises when I opened my SSCS from Stephanie of Loft Creations. In the little note Stephanie enclosed, she told me she has been following my blog all along since she knew I was her partner - well, she got it right, didn't she? I was so sad I had missed Nanette's (Freda's Hive fame!) 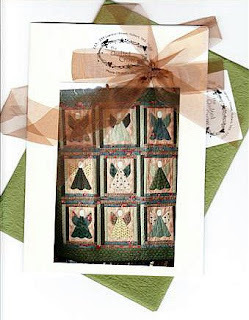 Christmas Cottage Block Swap - well now I have my very own wallhanging thanks to Stephanie! Also, check out this bag, see my favourite pinwheel blocks in one of my favourite ranges of fabrics, Charisma by Moda. Beautiful bag and beautifully made, too, thanks Stephanie - I shall use it with pride! Also, choccies, a handy notepad and a lovely thimble, a treasure from Dresden, Ohio! Many thanks and big hugs Stephanie♥ also to you chookyblue♥ for organizing a great swap - I certainly look forward to partiticipating in 2009 and would encourage all you girls in Blogland to join in on some of the great swaps that are about! Now for my Funny Foto of 2008 - well, perhaps not so funny Tyler captured in this pose, but the whole display was so funny, I just laughed until tears ran down my face! 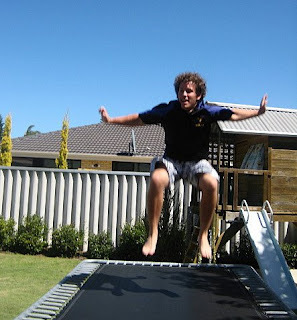 Here is this beautiful 17 nearly 18 year old grandson of mine doing antics on the little one's trampoline - he was gorillas, swans, birds, ballerinas the whole bit. This was our Christmas Day breakfast entertainment! Look at that beautiful blue sky - what glorious weather we had here in Perth, blue skies, sunshine and cool breezes - summer doesn't get any better than this! What a lovely breakfast we had at Danielle's and Adrian's home! The afternoon was spent at my other daughter, Angela's place - Ben cooked a fabulous lunch and Charlie a single friend of his brought a feast of prawns and I made dessert, an Aussie Pavlova and a new recipe cheesecake - really nice as it has fresh ricotta and Greek yoghurt as well as the usual cream cheese, not as rich and overdone as the usual cheescake! Lots of lovely fresh fruit about at the moment. Well, it's all over for another year - I'm off to Bunnings now to buy a new garden fork for myself with Christmas gift money - I can feel a succulent garden coming on! Hopefully sewing will start again tomorrow! 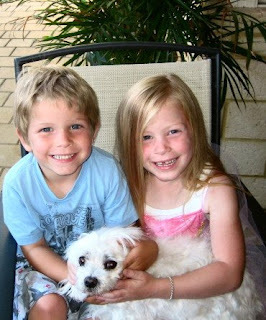 Christmas Eve ... Australia ... 2008! 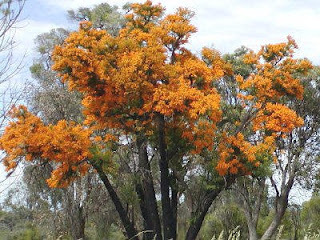 Our beautiful Western Australian Christmas Tree! It is blooming prolifically at the moment - just gorgeous! 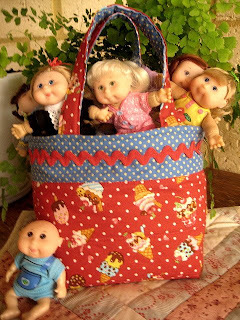 Last minute gifts - I rushed in this morning and made another Cabbage Patch Dolly Bag. I have recently been able to buy waffle cloth, so made this tea towel as a Christmas gift for my Mum's hairdresser, Tracey - I think originally I was inspired by Nanette at Freda's Hive, so thank you Nanette! I'll be scouting around after Christmas to get brighter ric-rac! Am itching to find out what is in this orange cellophane parcel - will have to wait until tomorrow morning, though! Dear friend, Pat, had it dropped off to me yesterday. 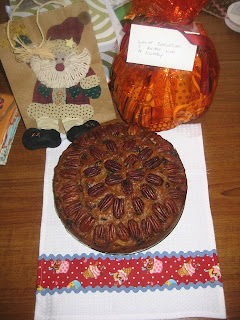 And here's our Aussie Christmas Cake - this year a Mango Fruitcake, so that is a little bit different! I'm off now to finish making Lemon Meringue Pie and then a Pavlova! I leave you with the chorus of John Lennon's beautiful song - my very favourite! Have a wonderful Christmas dear Blogland Friends! Goodness! What have I done here? Never mind ... we'll carry on and try to sort something out! For a start - Chookyblue has awarded all her Secret Santa participants the Christmas Spirit Award - how lovely - and she has done so much for everyone - ♥ luv you, Donna! Yesterday was shopping day for Heidi and Byron - each year I save my small change so Byron and Heidi can buy presents for their Mum and Dad at Christmas! What a wonderful day we had - of course, a photo with Santa that I have scanned - as you know they don't have red hair like this and the original photo is very nice and natural. Then we went onto shopping and they also had a little splurge on themselves with the savings - a Ben Ten movie for Byron and hair clips for Heidi. Lots and lots of presents and we had the folk from the Lions Club wrap them all! 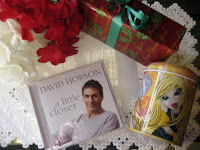 Lunch and icecreams were a treat and This Little Black Duck bought herself David Hobson's latest album 'a little closer'. David is one of Australia's best known and finest opera singers and on Saturday night in Carols on the Domain he sang the Beatles 'Let It Be' - truly beautiful! He does treat us to a lot of pop and jazz! Oopsy! Lots of blankspaces here - see the empty money box! Arrived home after such a happy day and so many other family members were here, so we had another little Christmas tipple! 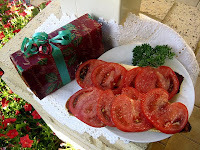 I decided to treat everyone to Horrie's tomatoes on lovely toasted rolls - these tomatoes are home-grown and are something else - click on the pic to see how beautiful they are - all gorgeous flesh with very few seeds - amazing! The day started off with lovely surprises and I now have my three PIF girls - Christine, Bernadette and Carol. Do pop in to visit their lovely blogs and leave a comment if you choose! I'm looking forward to making special gifts for these three great girls and I have one whole year to do it! Now, I have made a little promise to myself to get my house in order today and also think about Christmas cooking - maybe if I hurry I will get some time to do a little sewing! 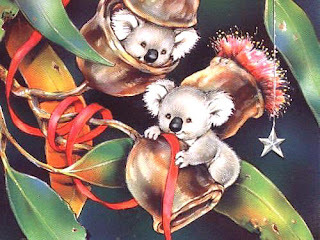 If you are reading this - please accept the Christmas Spirit Award and ♥ ... Christmassy Hugs to Everyone ...♥ ! PS - just doing a little check up on Followers and was amazed to see my name - wow, how exciting - I really don't ever expect to be a winner - I make comments because I enjoy doing so - many thanks Darlene - do pop over and visit her! Here's a recent pic of Byron and Heidi cuddling Georgina - there's always gorgeous big smiles for Nanny! I'm still bag making! Yesterday I made this little bag for Heidi to hold the Cabbage Patch Collectibles I have bought her for Christmas. Whenever I have anything to give away these days, seems like I should make a bag to suit. Makes me feel a bit naughty as I really should be quilting and I have itchy fingers to start some applique. I find it very difficult to sit and hand-sew through the day - that's night time stuff for me! I have opened the box from Stephanie and look at all these pressies! I couldn't believe my eyes and am quite overwhelmed - it's going to be lots of fun opening them all on Christmas day. I was given this gorgeous Santa bag by Sue at our gathering at Matilda Bay last Tuesday - I'm sure he'll keep everything safe until Christmas Day! This gift arrived through Chookyblue' SSCS! I haven't quite got my Pay It Forward sorted out, so if there is anyone out there who isn't playing and would like to play, please leave me a comment - seems like lots of folks are already in a little group. The gist of it is I will make 3 gifts for diferent people within 12 months and they in return make gifts for 3 other people - should be a lot of fun and a whole year to do it! I think I have only Christine as a positive player at this stage! PS - there's a funny little story to this! Heidi and Byron have just been over with their mother and Danielle wanted to see the little dollies so we snuck off into the sewing room to check them out - one was missing and we went through everything in the sewing room - gave up - went outside to have a coffee and next thing Byron says 'I found a baby!' Seems one little dolly had tumbled into the fern while I was photographing. Anyhow, we quickly confiscated the baby and hid it away - well, two very upset children! - and I guess to them Christmas is still a long way off! 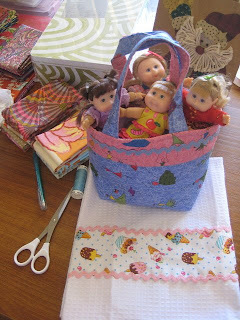 Maybe I will have to make Byron a bag with Cabbage Patch dollies, too! I hope you are all having a nice weekend - not too much Christmas stress, please! This gorgeous little fellow has finally been introduced to the world - now, don't ask me why not before this, because I can't remember! As I was rummaging through boxes I found him with just a few little stitches to finish the stocking - needle was there, threaded and all. 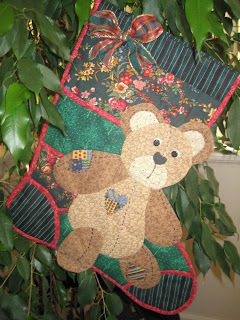 Maybe it is because he is the only stocking I have ever made and with 4 children and five grandchildren, maybe he thought it was safer to be hidden away! I think he is rather gorgeous and shall now let him out at Christmas! 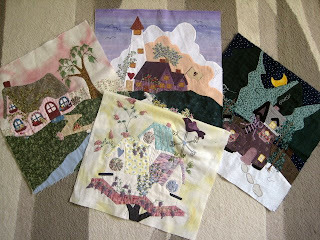 I was searching for these orphan blocks - from the Piecemakers Calendar Quilt probably 1996! My first attempt at quilting ... not a success for several reasons. For a start 14 1/2" squares cut with no trim-back allowed, layers of applique with no cut-out behind each layer and embellished with silk-ribbon embroidery and beautiful beading - how was I going to piece this accurately and then hand-quilt through all those layers? It was a very expensive class supposedly extending over 12 months - I was so enthusiastic, I happily got ahead of the class by following the directions on the calendar - easy peasy! Then my blocks were used by the tutor as class demonstrations - I was naive and lacked confidence and carried on for quite a few months, then thought 'Nuh, this isn't right!' Had a very unpleasant time with the store manager convincing him I was not going to continue. That's all in the past and now I hope to make some cushions from these blocks - will be nice to turn an unpleasant introduction to quilting into a positive experience! This morning I opened the box from the US from Stephanie -lots of lovely wrapped pressies and I have quite a few more, too - will show them in my next Post - can't wait until Christmas, all excited like a big kid! What a lovely time of year! My Princess and My Prince! Oh, what a funfilled day - just too much excitement! If you'd like to pop over to see Julia's post as of today, you will see we Girlfriends! had a glorious day, gathering for our Christmas Swap at Matilda Bay on the bank of the beautiful Swan River, for which Perth is so famous! It was really beautiful weather, sunshine and breezes! 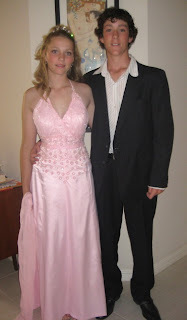 Upon arriving home, in came the family - it was my 13-year old twin grandchildren's Graduation Ball - leaving Primary School and into Secondary School! This make me feel so proud of these beautiful, fine children - also a little tinge of sadness as they are growing up so quickly. They had their school ceremony in the morning and I have seen videos of their speeches - they are both so poised for such young people - hard to call them children now. Ayesha received a wonderful book award this week - I will later tell you what the comments are. Oh, I hope they both carry on in the manner they are doing - the world is their oyster! Each year we donate cushions to Ronald McDonald House for the siblings of the patients, so they can have a little something special, too. Many, many more were added after I took this pic. 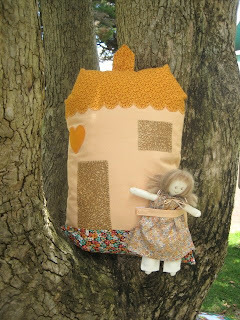 Isn't this just wonderful - a little doll house cushion made by Carole - some lucky litle girl will be made happy to receive this, with her own little doll attached, too! Let's hope these cushions brighten up some little children at a sad time for them! I have spoken before about Pat's quilts - this one is JUST a rug to sit on! Can you believe it! Pat goes so Green at times, this one is made from off-cuts of velvet, corduroy, curtain fabric and old shirts - so inviting in the dappled sunshine! Barb organized the day for us - what a sucess, thanks, Barb! - and here's her quilt. I think a Stack and Whack - so pretty, sweet and feminine. We did our Santa Swap - such lovely gifts - then lunch from the Tearooms - life doesn't get any better than that! That's the last of our Girlfriends! days until after Christmas - now we can concentrate on families and hopefully spend some peaceful time sewing - would be nice! 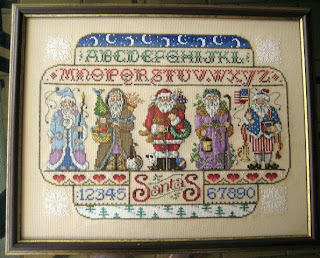 I have dug out another cross-stitch of Santas - this is a lovely sampler depicting the old Santas of different countries! I was playing around photographing some of my cross-stitch yesterday and Mum said she is really peeved I do not have them all displayed - our home has double brick walls and DH doesn't think I should be damaging the surface of the walls - maybe he is right, one day we may move to a smaller home - we'll see! I did a little blog re-vamping for Christmas - I like it! Nice and bright and happy and that's how I feel! Also, see my Welcome on the sidebar - another cross-stitch! I am more than thrilled that I was able to pick up the Fall 2008 Issue of Better Homes and Gardens Creative Collection - Quilts and more! We don't get all the American magazines here in Australia and they are quite expensive - I usually have a sneak-peek first! So, I was more than thrilled when this gorgeous red quilt caught my eye (how could it not!) 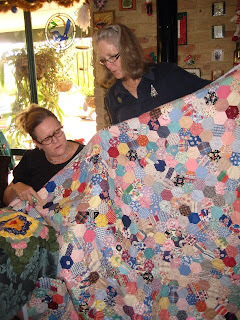 and to know it was designed and made by our own Blogland friend Kathie Holland of Inspired by Antique Quilts. 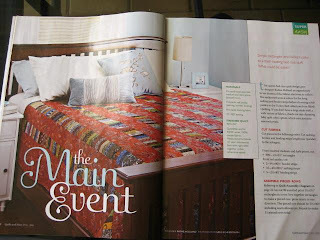 This is the second magazine I have featuring Kathie's quilts - aren't I lucky! 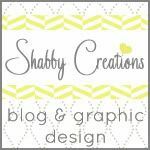 I have just signed up for a Pay it Forward exchange from Shari of Mumsyblossom's World. Here are the Pay It Forward Exchange “rules”.
. The first three people will be chosen to participate if they leave a comment on this post asking to join the Pay It Forward Exchange.
. They are agreeing to post a similar announcement on their blog, and Pay It Forward to three more people, who will in turn agree to Pay It Forward etc.
. Shari is going to send me and her other participants one handmade item sometime in the next 12 months.
. I, in turn, will send one handmade item to each of the three participants who signed up with me, within the next 12 months.
. You, in turn, will send one handmade item to each of your participants, and so on. Sounds like a bit of fun and I will be very happy to make 3 items and 12 months to do it - maybe I will post mine as early Christmas gifts 2009 or if the participants let me know their birthdays that could be nice, too - whatever! Everything is starting to feel Christmassy - my little twin grandchildren, Heidi and Byron (4) will be over soon for a sleep-over - they are driving their Mum mad, their Dad is far away working in a remote mining town and is due back tomorrow - so, Nanny and Poppa to the rescue! This is one of my treasures! 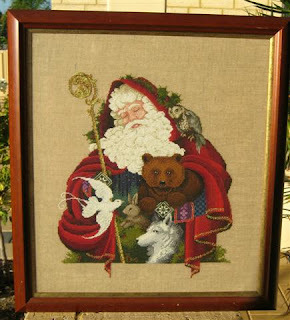 I probably did this cross-stitch in the Eighties - long before I ever started quilting. It was done on 32-count linen and for any of you Cross-stitchers out there, you would know how difficult it is to work on linen - I was a bit of a Purist at the time and only linen was good enough for me! I'm glad I did it then as I probably won't dedicate the hours of work it took to complete! 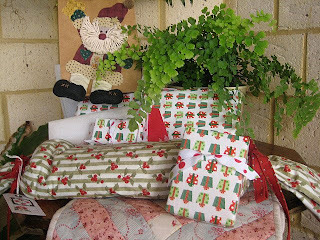 I am in the throes of decorating my Blog for Christmas - will have to visit Julia for a bit of help with a complimentary background! Also - and this is a bit of a huge task - I am busy putting my pics in order to copy to my new External Hard Drive. Had to have a bit of Blogland therapy - now I'm going to have some lunch , then to take Mum to the podiatrist! Have a great weekend and don't get too stressed with all the last minute stuff - hugs! PS - this will be my Christmas Blog forever, thanks, Julia, love you ♥! Yes, another day with the girls! Here we are at Gwen' place all beautifully decorated in the Canadian way for Christmas - what a lovely day it was! 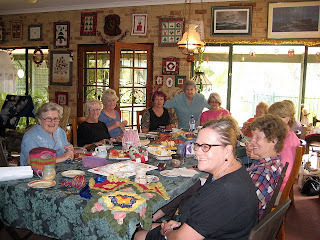 See Lynnie, back middle, she's our knitting teacher. Next to her in the black top is dear Jan of Gallivantour, a lovely surpise to see her back for Christmas! Several of us carried on with our sock-knitting lesson, with a couple managing to get the heel turned. Take note of the 'work in progress' front middle of the table - this is Kris's hexagon quilt - being assembled using American piecing method, so much work! Kris's work prompted Gwen to show us a quilt she bought in the Appalachians in 1975 - isn't it just wonderful? Makes you wonder about all those wonderful fabrics and where they came from! 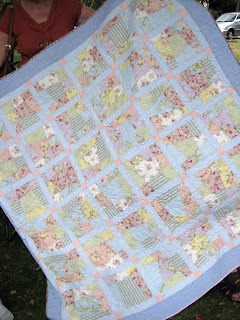 It is hand-quilted in a Baptist Fan design - just beautiful! Cost Gwen the grand sum of $50 - what would it be worth today? Thanks, dear friend Robin for trialling yet another of my Happy Bags! Robin has read over my notes and helpfully made additions and corrections The pattern will most likey be published in our Australian magazine, Down Under Quilts, early 2009. Quite a few have asked for pattern/dimensions - hopefully I will be able to let you have them soon - I'll see what I can do! I'm a little behind answering emails - I guess we are all pretty busy these days, so please forgive! Have a happy day (cold and wet, here!) - hugs! Have had a busy weekend and there is a busy week ahead! 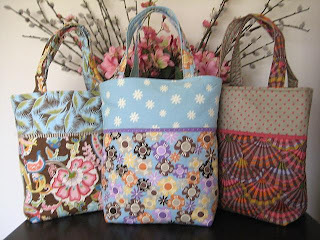 I did manage to make these Happy Bags over the weekend ... yes, I did do housework, washing, and made sure everyone was fed! It has been such a buzz making these bags and it feels good to have some nice Christmas presents ready. I was inspired to make these bags by enlarging Pink Penguin's little fabric baskets - not only have I got the dimensions down pat, found the most suitable batting/fleece, added a piping detail, added handy pockets inside and nice sturdy handles. I feel I can now call the pattern my own! Guess what everyone will be getting for presents and swaps now? 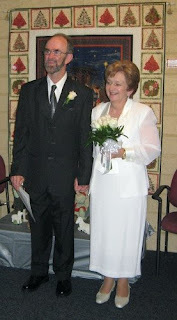 This is a lovely pic of Karyn and Ken who were married on Saturday afternoon - it was such a beautiful wedding - really brought out the romantic in me - I think it is just wonderful that these two have found each other after both suffering the losses of previous spouses. Best wishes to them both for a long, happy life together! Now to Blogland news - check out Freda's Hive! Nanette is celebrating her First Post Anniversary. Do read the reason for naming her blog Freda's Hive - it is a really beautiful tribute to her Mother! I have become very fond of Nanette since discovering her blog - it is just full of wonderful news and tutorials- so inspiring! Another great read - visit Chookyblue to read about her famous friend The Cushion Queen! 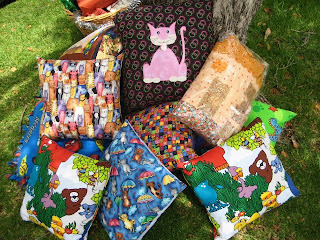 I think these cushions are the greatest and the best part is they are made from scraps - I have bought a great piece of fabric to make a cushion soon - after reading this article, I will use only a piece from the fabric and add other fabrics, then I will have lots left over of the special fabric. A big thank-you to Donna who is another special Blogland friend - she has been working so hard organizing the Secret Santa Christmas Swap and it has all been so successful and so much fun! Off to another sock-knitting lesson tomorrow - maybe Wednesday I will have to give one of my groups a miss - I still have Christmas shopping to do and the thought of it scares me! Wish I could knit socks fast enough to give to the guys in our family - maybe when I am an 'old' lady (now don't be rude!) I will have time! I'm sure you all have a busy week planned, too - remember to take time to do a little stitching! December 3, 1913 - September 3, 1983!